I wait for opportunities to show you My compassion. for Yahweh is a God of justice. Blessed are all those who wait for him. What a beautiful picture of the longing that God has for us. 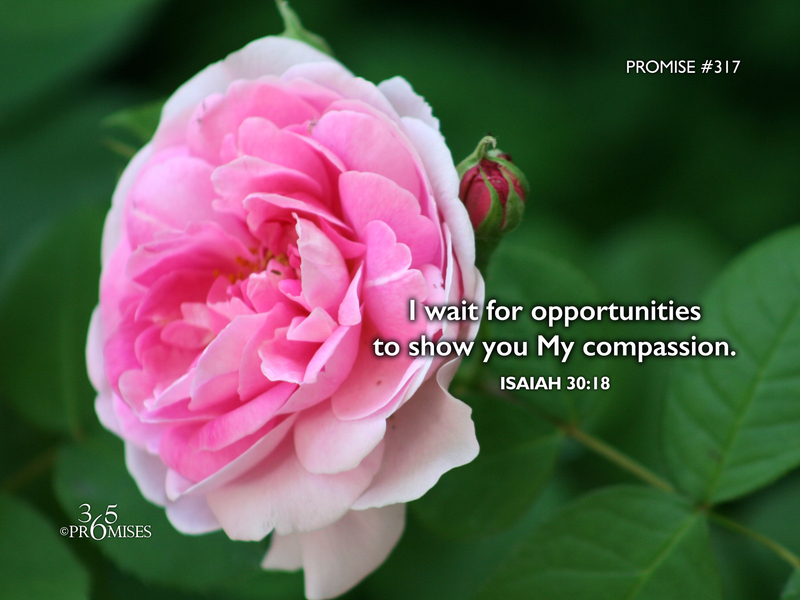 He is always in a posture of waiting for every opportunity to show us His compassion. I love the Amplified translation that says that He is expecting, looking and longing to be gracious to us. This Bible verse reminds me of the father in the Prodigal Son story in Luke 15 who was waiting for his rebellious son to find his way home. In this story, Jesus tells us that the father saw the son when he was still a long way off and started running toward his boy. I think in the same way, our God and Father is waiting and watching for every opportunity to run out so that He might pour out His love and mercy all over us. May we be mindful of this amazing truth and always posture our hearts to receive the outpouring of His love!